Proposal would provide rural homes and business with 10Mbps broadband by 2020. The Government has revealed that BT is set to invest ₤600 million in order to provide faster broadband to remote parts of the country. Under the terms of a new proposal, BT would ensure that every household in the UK is soon able to access broadband networks with minimum download speeds of at least 10 megabits per second. This would be enough to allow families to browse the web, make video calls and stream films and television shows all at the same time. 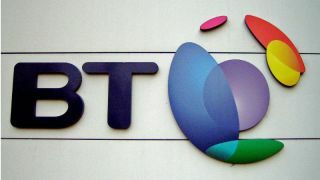 Culture Secretary Karen Bradley noted that now the government will decide whether or not it will accept BT's voluntary offer. A regulatory approach may also be the best way to provide fast internet to every home and business in the UK. BT's proposal would see the telecom funding the initial investment and recouping its costs by charging citizens and businesses to access its broadband services. BT's plan expects broadband coverage of at least 10Mbps to reach 99 per cent of homes and businesses by the year 2020 with full expansion finished within two years from that time.